This is a pretty short, to the point press release, so I will leave it in without a jump. SEGA and High Voltage Software are happy to announce that The Conduit has shipped in North America and is now available. A unique first-person shooter, The Conduit is an original IP featuring an intense conspiracy-laden single-player campaign that brings an unparalleled shooter experience exclusively to the Nintendo Wii™. Get out there and arm yourself with an arsenal of sci-fi gadgets and high-powered weapons as you fight against aliens, rogue agents and other enemy forces. Additionally, be ready to dominate your friends from around the globe in up-to-12-person online multiplayer battles! Now is the time for you to join the fight and save Washington DC! 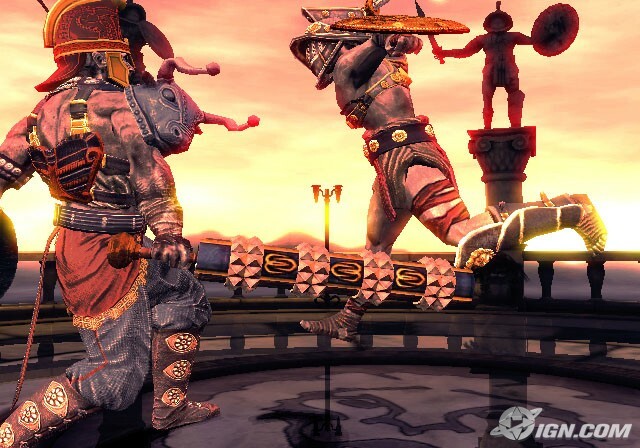 High Voltage Software Announces Gladiator A.D.
Now we finally know what those blurry images were a few weeks back. It was a game by HVS.